For first-time visitors to triyoga. Best value. Best value if you attend triyoga twice a week or more. * Semi-private class passes can only be purchased in centre. Please call Camden on 020 7483 3344 to purchase. Q. Where can I find the prices for treatments? To view the prices of our treatments, please select your preferred treatment and therapist from the treatments schedule here. Q. Do you offer any concession discounts? Q. Can all passes be used at any triyoga location? Yes, you can use all passes for classes at any triyoga location across London. Q. Can I attend any class with my pass? Yes, with our general class passes, you can attend any class at triyoga. The only exceptions are Equipment Pilates or Gyrotonic® classes, for which you need a specific pass. If you have a meditation, kids and community class pass, which are half price, it is only valid for these classes. Q. How can I find out when my pass expires? Calling any of our centres and our reception team will be happy to check your account on your behalf. Q. Can I pay for a class for myself and a friend? Yes, if the person you’d like to purchase for already has a triyoga or Mind Body account. If not, they’ll need to create an account first and accept the triyoga terms and conditions. You’ll then be able to make a purchase on their behalf. Please note: you can only book one place in any class online because everybody needs to accept the terms and conditions first. Q. My online purchase failed but I don’t know why? The pass you were attempting to purchase. The last 4 digits of your card and, if applicable, the details of the class you wanted to book. Q. Can I pay for my pass with Amex? No, at this time we only accept payment by Visa or Mastercard credit/debit cards online. You can also pay by cash in our centres. Q. Can I attend any class with my introductory pass? Yes, you can choose to attend any class, in any triyoga centre, at any time. 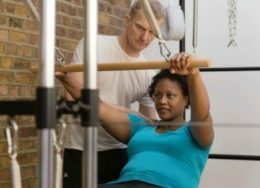 The only exceptions are Equipment Pilates or Gyrotonic® classes, which require you to have a specific pass. For a full list of applicable classes, please view the class schedule here. Q. Can I still purchase an introductory pass if I’ve previously been to a workshop, course or had a treatment at triyoga? Yes, anyone who has not attended a mat class at triyoga can purchase an introductory pass. However, if you have previously made a purchase for any other service at triyoga, you won’t be able to buy the introductory pass online. In which case, please contact any triyoga centre and they will be happy to help. Q. Can I attend any class with my class pass? Q. When does my class pass expire? Our 20, 10 and 5 class passes expire 3 months from the purchase date. The 1 class drop-in expires 1 month from the purchase date. Q. Can I extend the expiry date on my class pass? 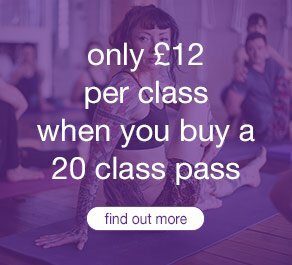 Yes, you can extend our 20, 10 and 5 class passes once for a maximum 30 days from the initial expiry date for a £10 fee. To extend your pass, please contact your nearest centre. Promotional passes cannot be extended beyond their initial expiry date. Q. How can I see how many classes I have left on my class pass? Q. Will I receive frequent tri-yer stamps when purchasing a 20 class pass? Frequent tri-yer stamps are not valid when purchasing a 20 class pass. Q. Is there a limit to how many classes can I attend with an unlimited pass? No, we encourage you to make the most of your pass and attend classes as often as you like. Q. Can I put my unlimited pass on hold? Q. Who do I contact to put my unlimited pass on hold? Please complete and submit the form at https://triyoga.co.uk/discover/agreements/ at least 20 days ahead of the hold start date. If you have any questions, please contact agreements@triyoga.co.uk. Q. Can I cancel my unlimited pass? Q. What day will I be billed for my monthly unlimited pass? The payment comes out on the same day of the month that the agreement was purchased.